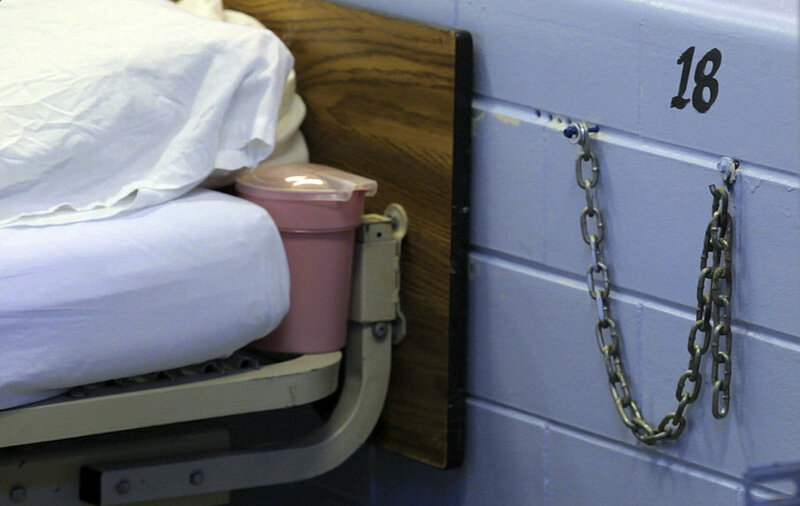 When the hospital is more like a prison...how we treat autistic children. I just read an article in a journal1 about the lack of training pediatricians have in autism. The objective of this study was to evaluate a new curriculum of autism training into 26 pediatric residency programs across the U.S. After training, participants were asked to self-rate their learning. The article begins with, “Despite recent studies indicating the high prevalence of ASDs, there has been little focus (emphasis mine) on improving ASD education during pediatric residency training.” The article points out that both parents and providers are dissatisfied with the quality of care autistic patients receive. Wish I could say I was surprised about these findings. What was of particular interest to me was when these pediatric residents were asked to rank the importance of ASDs to their career, 76.3% of female residents ranked it as “very important” on a Likert scale, compared with only 23.7% of male residents. Autism is exponentially increasing, EVERY pediatrician will see many cases of it, as will physicians of every specialty, yet the percentage of pediatric residents that ranked ASDs as very important is not near 100%. Among male residents, only 1 out of 5 male residents found it “very important”. With statistics like these it’s no wonder our kids don’t get the care they deserve. Consider the case of Alex Spourdalakis. Alex is 14 years old. He has autism, is non-verbal and like so many of our children, suffers from severe bowel illness. On February 16, Alex was suffering from debilitating gastrointestinal pain so with the help of police and paramedics his mother Dorothy took him to the emergency room of Gottlieb Hospital in Melrose Park, Illinois. That’s where a horrific nightmare began that defies credibility, yet is sadly true. 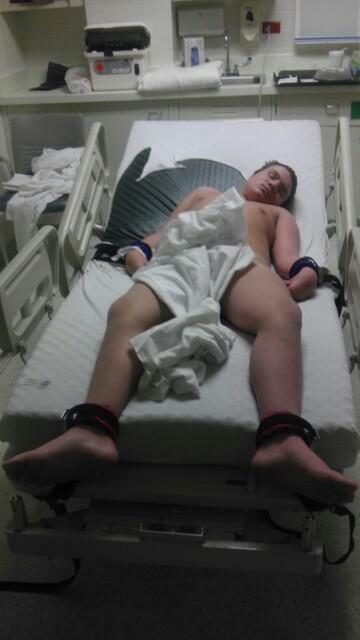 Alex was agitated and physically aggressive, likely due to severe pain, so he was placed in locked restraints. 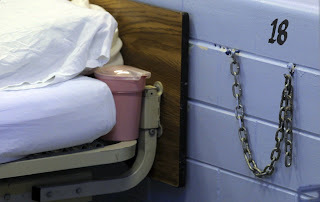 He remained there naked, restrained to the bed for the next 13 days—still in the emergency room suffering from bouts of violent vomiting, severe constipation and diarrhea. According to his mother, Dorothy, “He was given Colace for his constipation and sometimes it would take security staff and nurses more than 15 minutes to arrive to unshackle him so he could use the bathroom.” Because of the delayed response, Alex would lay in his vomit while waiting, would then be wiped down. He remained in restraints. Dignity lost...Alex in bed, shackled. Alex was never formally admitted as a patient at Gottlieb and was not assigned a room. He remained in the emergency room bay during his 13 day stay at Gottlieb, finally being transferred to Loyola University Medical Center on February 28. On March 1, a consult by a gastroenterologist was ordered; however, it took until March 5 for the gastroenterologist to see Alex. On day 22 of this nightmare, Dorothy was given the Sophie’s Choice of agreeing to the hospital’s “care plan”, which consists of powerful psychiatric medications without real treatment of Alex’s medical condition or her child being referred to the Department of Child and Family Services. Faced with losing her child, Dorothy agreed to the hospital's "care plan". The hospital says it must “first heal the mind” before it can “heal the body”. Flash forward and Alex is still at Loyola being sedated within an inch of his life. In lieu of proper GI care, this child is being treated with the psychotropic meds Lorezepam, Oxezepam, Benzatropine, Zyprexa, and Ativan. 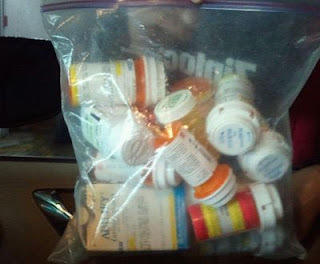 None of these drugs will treat his gastrointestinal problems and are not pain relievers. I’ve written about the indifference of the medical establishment in the past. Their ignorance and lack of compassion is staggering. That this child was denied medical care, any accommodation for his disability, was shackled to a bed and allowed to lie in vomit defies belief. We have laws in place to prevent animals from being treated like this, and yet this is considered the standard of care for an autistic child. Do you think Alex’s predicament is just an extreme situation? It really isn’t uncommon. 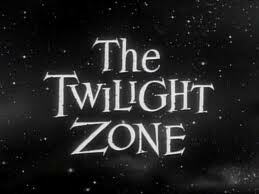 The “it’s just the autism” diagnosis that leaves our children untreated and in unthinkable pain is a kind of Twilight Zone reality. There’s been a lot of “blame Mom” for Alex’s situation. I don’t know Dorothy Spourdalakis, but from all accounts she is a devoted autism mom who is trying desperately to get some help for her child. She and Alex have been placed in a situation that defies common sense, or even common decency. Think this couldn’t happen to your autistic child—think again. 1. Major, N. E., Peacock, G., Ruben, W., Thomas, J., and Weitzman, C.C. (2012). Autism Training in Pediatric Residency: Evaluation of a Case-Based Curriculum. Journal of Autism Development Disorders. DOI: 10.1007/s10803-012-1662-1. So as to make a respectable article, you need to use those capacities. If you are not prepared to do that without anybody's assistance you require. Check this http://pediatric.residencypersonalstatements.net/ webpage and get one of a kind data for the understudies.